Ahem to break pot for janmashtami! Saath Nibhana Saathiya 25th August 2016 Written Updates :- The moment which the Saath Nibhana Saathiya audiences have been waiting for is finally comes out! Mohammad Nazim is back on the show, but this time, he did not back as Ahem, in fact, he is actually lookalike of Ahem! As per reports, it was already revealed in the media that Ahem aka Mohammad Nazim will be having a grand entry and indeed he received the same. In the previous episode, we saw how Meera and the inspector save Priyal from the kidnapper, and she has been kidnapped by no one else, by Nayya’s boyfriend, he was in the Singhania’s house as the driver. Dharam will be shocked to know that their driver had plotted Priyal’s kidnapping and he just fumes on anger. Meera, Dharam, and Vidya are unaware that Nayya was also involved in Priyal’s kidnap. Knowing about her boyfriend being an arrest, Nayya promises him that he will release him from jail! As per the plan, Nayya now planned to ruin Meera and Vidya! Meanwhile, Gopi tries to escape from the Raheja house, but all goes in vain, as Dr. Krishna trapped her. 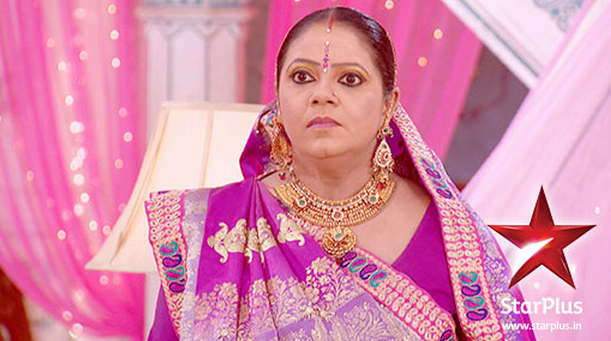 Kokila senses Gopi is in trouble and so she reaches in the Raheja house to meet with Gopi. Pramila tries to stop her, but Kokila searches Gopi in the entire house. But by then, Mansi, Krishna, and the nurse have been escaped via the door. Gopi is now lying unconscious and Kokila is shocked to see so Kokila takes her to the hospital. As per report it is Mansi tortures Gopi by giving her an electric shock treatment! She is keen to prove that Gopi is crazy. Mansi is taking revenge on Gopi as Mansi feels because of Gopi Ahem left her and she was in the mental hospital for more than one year because of the drastic shocked she received. Now Kokila decides to save Gopi but she will be meeting with accident causes by Krishna’s men to divert her attention. On the occasion Janmashthami perhaps Gopi will be an encounter with Ahem’s lookalike Jaggi who is actually step brother of Jaggi. He is actually totally opposite of Ahem as Ahem is an educated guy and Jaggi is total Tapori of Mumbai. When Kokila will be getting to know about him, she will be the pledge to Jaggi that he is only who can save Gopi’s life. Initially, Jaggi will be refused it to do but gradually will be giving the nod as he will be demand a huge amount from Kokila to do the same. Kokila has no other option so she will be giving the nod. Stay tuned for more updates on the TV series Saath Nibhana Sathiya.